This is 3rd article in the WordPress Developer Tools Series by Tahir Taous. 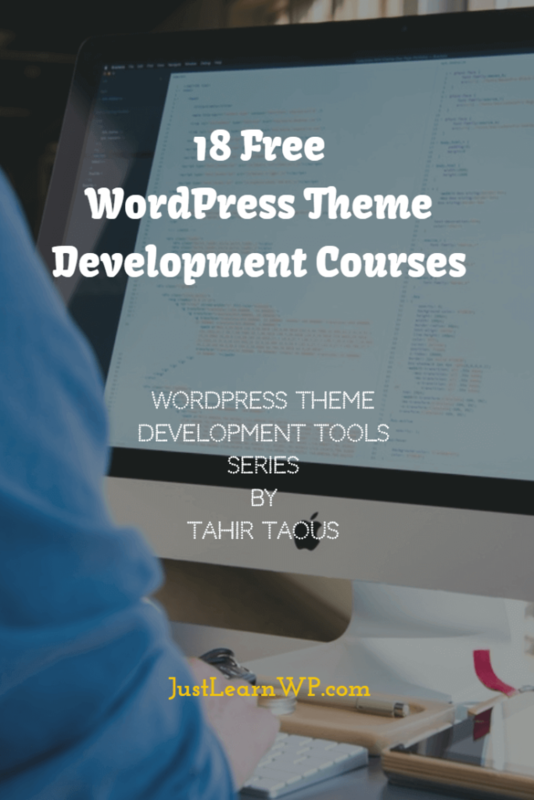 We are publishing articles about best tools, Starter themes, frameworks, plugins, browser add-ons, video courses available online to become a powerful WordPress Developer. Do you want to become a WordPress developer, want to create powerful websites with WordPress yourself or want to customize WordPress themes, In this series, We are going to share best resources, tutorials, and tools to become a WordPress developer. Here are the list free video courses available online to learn theme development. Note: This post was originally published at createwptheme.com. We have republished it here with permission. This is truly a great list. Also, this is off topic a bit but I love the structure of this blog post. For the longest time, I have been curious about creating a WordPress Theme and now I see how much work goes into it. Your website is an excellent place to learn WordPress, providing the guides and resources for a beginner to experienced professionals to become experienced WordPress user. You have covered all the details of how to build webpages using WordPress. I have created a blogging website and still working to add more features to this site. Going through your website, is very helpful for me.